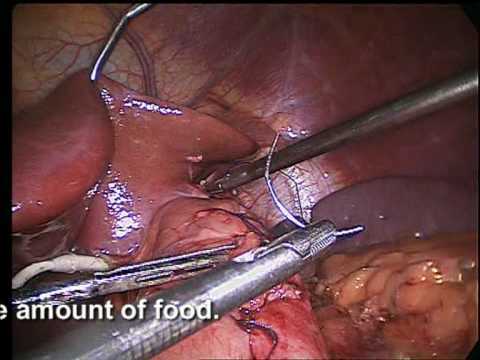 A few years ago this patient was operated on for morbid obesity — laparoscopic gastric banding was done. She lost 45 kg, but wasn't totally happy about her weight because her BMI was over 40. She works in a hospital as a nurse. After a prolonged meditation she opted for this new modality of bariatric surgery. She asked to save her band in addition to gastric plication. The video presents the technique of this operation.